Ferdie Munsayac's integrity is being questioned right now. MANILA—Underground Battle owner Ferdie Munsayac is currently in hot water. 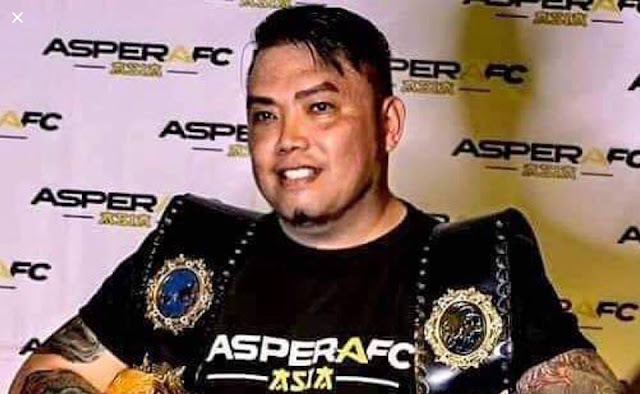 A report by Stat Sports on Wednesday night cited sources saying that Munsayac is using the said mixed martial arts promotion as a means of exploiting fighters. Among the allegations include spotty matchmaking and even unfair treatment to his partners. According to the report, Munsayac allegedly pits foreign pugilists against Filipino opponents way inferior than them, leading to mismatches. Stat Sports’ source also claimed that Munsayac is getting a share of the foreign fighters’ purse. The source also added that Munsayac charges a PHP1,000 entry fee for each of the fighters, which they can only get back if they win. Apart from that, the source claimed too that Munsayac exploits female pugs and fighters who are part of the lesbian-gay-bisexual-transgender-queer community only for entertainment. On the other hand, another source said that Munsayac promised him to become an incorporator of the UGB once it becomes a corporation during its first fight night in 2014. However, it ended to no avail, and the said source added that the MMA promotion’s chief treated him and his team unfairly. Meanwhile, Stat Sports quoted Laurence Canavan of Cage Gladiators saying that Munsayac cut a 40 percent share of his fighters’ pot money to him. Canavan also said that Munsayac’s “vision” of using UGB as a means to help underprivileged children is just a hoax. The UGB became the stepping stone for the likes of Ahmed Mujtaba, who is now signed with One Championship. The said promotion also helped in organizing the first World Series of Fighting-Global Championship fight card in the Philippines on July 30, 2016. Dugout Philippines is open for Munsayac to air his side of the allegations.